Dr. A.N. Rajagopalan received the B.E. and the M. Tech. degrees in Electronic Engineering from Nagpur University, Nagpur, and the Ph.D degree in Electrical Engineering from the Indian Institute of Technology, Bombay in July 1998. During the summer of 1998, he was a visiting scientist at the Image Communication Lab, University of Erlangen, Germany. He joined the Center for Automation Research, University of Maryland in October 1998 and was a research faculty till September 2000. He joined the Department of Electrical Engineering, IIT Madras as Assistant Professor in October 2000 and currently serves as Professor. His current research interests include recovering depth from defocused images, structure from motion blur, image restoration and super-resolution, video microscopy, image and depth inpainting, image matting, tensor voting, heritage resurrection, higher-order statistical learning, object detection in still images and video, face detection and recognition, image forensics, and underwater imaging. He is co-author of the book "Depth from defocus: A real aperture imaging approach", published by Springer-Verlag, New York in March 1999. He is a Fellow of the Alexander von Humboldt Foundation, Germany, a Fellow of the Indian National Academy of Engineering, and Fellow of the Institution of Electronics and Telecommunication Engineers India (by invitation). He served as Associate Editor of IEEE Transactions on Pattern Analysis and Machine Intelligence (PAMI) from 2007 to 2011, Associate Editor of IEEE Transactions on Image Processing (TIP) from 2012 to 2016, and is serving as Senior Area Editor for IEEE Transactions on Image Processing since 2016. He also serves as reviewer for many international journals and conferences in the areas of image processing and computer vision. He was Area Chair for CVPR 2012 and ICPR 2012, and Program Co-chair for ICVGIP 2010. He is a recipient of the DAE-SRC Outstanding Investigator award in 2012 and the VASVIK award in 2013. He received the Mid-Career Research & Development award from IIT Madras in 2014. He co-edited along with Prof. Rama Chellappa of University of Maryland, the book "Motion deblurring: Algorithms and systems" published by Cambridge University Press in 2014. He received the Google India AI/ML Research award for Faculty in 2018. 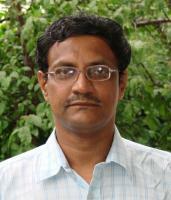 For details about his research activities, visit Image Processing and Computer Vision (IPCV) lab website.